Hardwoods Distribution Inc. (HDI) and its three distribution brands: Hardwoods Specialty Products, Frank Paxton Lumber and Rugby Architectural Building Products have entered into a full-line distribution partnership with EGGER, one of the world’s leading wood-based materials suppliers for the interior, furniture, wood construction and flooring industries. Effective immediately, EGGER brand Eurodekor® Thermally Fused Laminates (TFL), decorative laminate, and edgebanding will be available for sale at 35 Hardwoods Specialty Products, Frank Paxton Lumber and Rugby Architectural Building Products locations in North America. 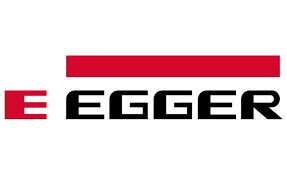 “The justification of our close partnership with EGGER in so many of our locations across North America lies in two areas,” said Gord Clough, Hardwoods director of marketing. As a result of exceptional growth, Hardwoods Paxton and Rugby have recently expanded the Hardwoods distribution facilities in Elkhart, Indiana; Phoenix, Arizona; Perris, California; and Rugby Eastvale, California. The Perris and Eastvale locations service the massive Los Angeles and San Diego market. Robust growth, a significantly broadened product offering, great people and strong long-term plans, are the drivers for the distribution facility expansions.